Time for another month of the Secret Recipe Club. 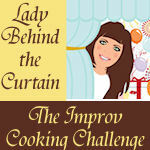 I was so excited when I learned I was assigned to Kate's blog, A Spoonful of Thyme. 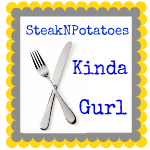 I've already been following her blog for a long time now, since my early days of blogging, and have been in awe of her amazing recipes and beautiful photos for some time. I already had a list of her recipes on my recipe list that I wanted to try, so it wasn't easy to find and choose one. Kahlua Bars. Savory Cheese and Chive Bread. And her pumpkin dishes! And this isn't even the beginning. Ultimately, her Butterfinger pie won me over. Simple, genius, and delicious. I love that this pie only requires 4 ingredients and is literally so easy to put together. You can make your own homemade graham cracker crust, but I opted for the simple store-bought version. That's part of what I love about this "recipe". Soften ice cream and evenly mix in crushed candy, saving some for topping. Spread evenly in graham cracker crust and freeze. 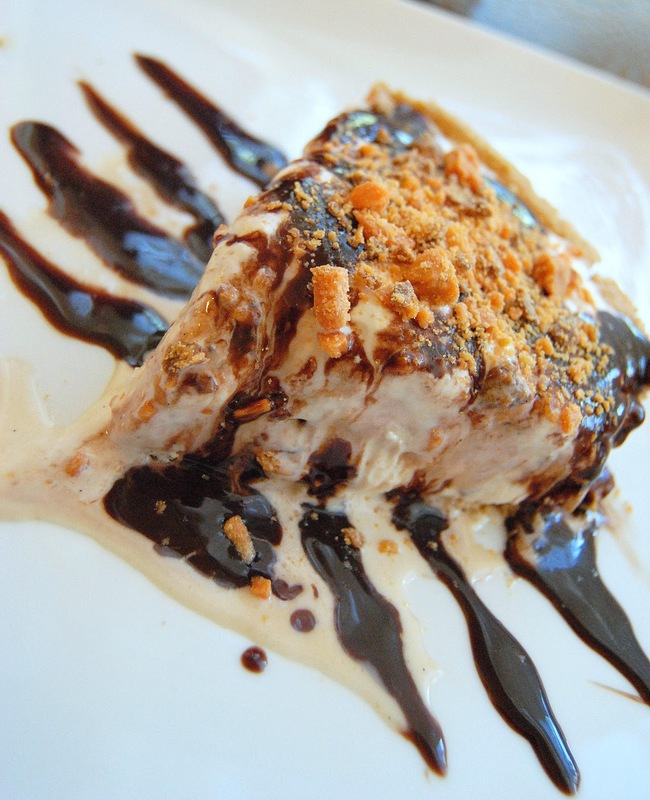 To serve top with a drizzle of chocolate sauce and a sprinkle of Butterfingers crumbs. A rich and luscious dessert! Hi Desi! I am so happy that you enjoyed the butterfinger pie....it is the go-to dessert at our house. Simplicity at its best! NOW that looks incredible! WOW! I want!! It's hard to believe something so pretty and scrumptious looking has only 4 ingredients! Great SRC choice! Butterfinger...? I am SOOOOOOOO THERE! Wow, I am totally loving this! 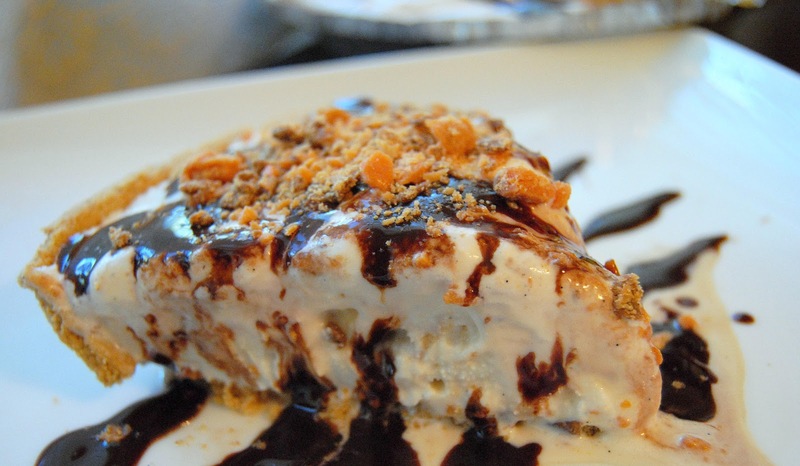 Ice cream pie is awesome, but even better with Butterfingers! This looks heavenly! 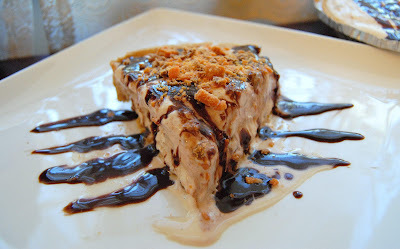 I'v enever made an ice cream pie but after looking at this, I have no idea why. This looks amazing! You're killing me girl! 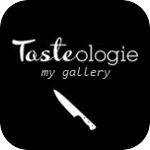 I love your photos with the chocolate drizzled on the plate-great styling! Yumbo. Gorgeous pics and the perfect dessert. Looks wonderful! Desi, that is one gorgeous looking pie! Butterfingers are literally my favorite thing on earth! I love how it's all chocolatey and melty. I wish I could eat this for breakfast!!! Wonderful pic!